Have You Heard of ‘The Rule of 752’? I hadn’t till recently and was amazed by the power of it. Take a weekly expense and multiply it by 752. The result is the real cost of that expense over 10 years had you invested the money instead. It’s easy to ignore small expenses and I am probably the queen of the little things. We don’t often think of the small things when we look at spending, then we wonder why the budget seems so out of control. Yet it’s often the small daily expenses that add up to a lifetime of financial frustration. The Rule of 752 can add so much needed perspective. With the Rule of 752 in mind, here are five “small” expenses that might be killing your budget. Have you checked your bank statements lately? Fees can crop up with bank accounts, credit cards and prepaid debit cards. While each fee by itself may not seem like a lot, they add up quickly. In addition, there’s no reason to pay them. There are many no-fee checking accounts, no annual fee credit cards, and even prepaid cards that don’t charge a monthly fee. Furthermore, once you eliminate the fee, you’ll save that money each and every month going forward. Getting rid of unnecessary fees is a truly painless way to save money. I miss the 1970s. We didn’t have cable, cellphones or even remote controls. TV was free and Coke was sold in glass bottles. 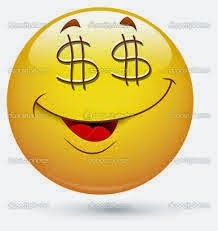 Today many families pay hundreds of dollars each month for TV, Internet and cellphones. Sure, we now have 500 channels, and cellphones far more powerful than the first computers, but the costs can get out of control. 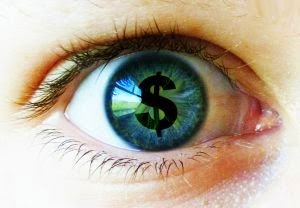 To monitor the costs, look through your bills carefully. First search for fees on services or equipment you’re not using. Second, make sure you need the level of service you’re paying for. Recently, I learned we were paying for far more data than we ever used on our cellphones. And third, consider alternatives. Prepaid cellphone services, for example, can save you a bundle over those two-year contracts with major carriers. This is one of my expenses I am looking at as I don’t have time read all the magazines coming across my desk each month and I know I can access them free on the net. You might pay “only” $30 a year for a monthly subscription to some magazine, but do you even read it? And could you get the information for free online? If you wander down to the local OP Shop , it is amazing the piles of magazines they are selling that would amount to a small fortune in subscriptions. It seems like a small amount, but when you add up the fact that you are paying it over time, and you might not even use the subscription very much, it just becomes another regular expense that you have to pay each month. 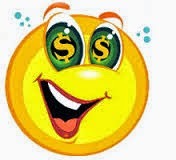 Sometimes when you buy things over the phone, you are charged a convenience fee. Other times, the “convenience” fee is more of a small fee that you are charged when your bank sends you a paper statement. It can be as simply as the $2 fee every time you withdraw money at the ATM – instead of a daily withdraw, work out what you need for the week ahead and make one withdrawal for the whole week - $2 a day x 752 = $1,504 just to withdraw your own money! We all know credit cards are addictive. For what seems like a small monthly payment, a credit card enables you to buy now and pay later. Like the Siren songs of Greek mythology, however, credit cards can quickly lead to financial ruin. The high interest rate associated with credit cards can really add up over time if you carry a balance and make only the monthly payments. By the time you pay off the credit card, you might have carried that debt for 10 years and have repaid three times what you borrowed in interest alone. It seems like a small thing, but it turns into a big deal over time. Before you get excited about how you can put a $1,800 purchase on a credit card and “only” pay $54 a month, remember that it’s very possible that more than half of your payment is going toward interest, so you’re only reducing your debt by $27 or so each month. Go through your expenses, see where you are wasting money, and then try to plug those leaks. Take advantage of free budgeting tools that are available on the net. Have fun with the calculator – remember 752…….. When it comes to selling your home, it needs to stand out from the competition. Before you put your house on the market, follow our value-adding tips. Sometimes making one major change in the kitchen is enough to lift the whole room, so if you don’t want to mess with the cabinetry, cast an objective eye over the splashback as it’s a way to inject some personality into the room without going over the top. Glass splashbacks are still popular but, at about half the price, acrylic is a cheaper alternative. There’s a great colour range on the market as well as clear options so you can personalise your selection with wallpaper, for instance. The only limitation is that acrylics can’t be used directly behind stoves. Painting the interior can lift the mood of your house and it’s inexpensive if you’re willing to do the work. If your budget allows, tackle walls yourself and get professionals in to do the ceilings, as these can be hard going on the neck. You might be able to get away with giving skirting boards, doors and window and door frames a good clean with sugar soap or a natural alternative such as washing soda. If you’re taking the DIY approach, tackle one room at a time. Choose a warm, dry day to start, move all of your furniture into the middle of the room and do the first coat in the morning. As most paint needs only a few hours between coats, you can do the second later in the day and have the room finished by the evening. Bigger rooms will take more time of course, but the one-room-at-a-time method limits disruption. Getting carpets cleaned can make a huge amount of difference to the look (and smell) of a home, so calling in the professionals is well worth considering. However, no amount of cleaning is going to lift a floor covering beyond its use-by date, so it may be time to replace what you’ve got. If floorboards are showing a little too much wear and tear, have them re-sanded, which opens up myriad options as you could have them lime washed, stained, painted or simply resealed. If you decide to rip up old carpet and find old dirty floorboards underneath, mix up a solution of boiled linseed oil, turpentine and white vinegar in equal parts and test a patch with a lint-free cloth to clean and feed the timber. If the wood looks good, you may have unearthed a gem. New cupboard doors and handles update a kitchen in a budget-friendly way. “For a pre-made cupboard door off the shelf, the cheapest option is a laminated door for around $15,” says Amanda Falconer, author of The Renovator‘s Survival Guide (Penguin). If you can get away with just painting the doors, Amanda likes the product ESP (Easy Surface Prep), by Flood Company Australia, over which she says “you can paint on almost anything”. If you want to go purely down the DIY route, think about painting the existing tiles. White Knight makes high-gloss tile paint as well as a nifty little Grout Pen, for painting over discoloured grout. Plasti-kote produces spray-on tile paint that provides two square metres of coverage per can in either white, cream or black. Often, it’s the details that count and standard white light switches tend to look yellow over time. Getting an electrician to replace them isn’t a costly exercise and you can often pick up everything you need at a big hardware store, so the major cost will be labour. Many brands make coloured or metal switch plates, but consider the fact switches tend to be utilitarian items that don’t need to be made a feature of. First impressions count, particularly if you’re about to put your house on the market. 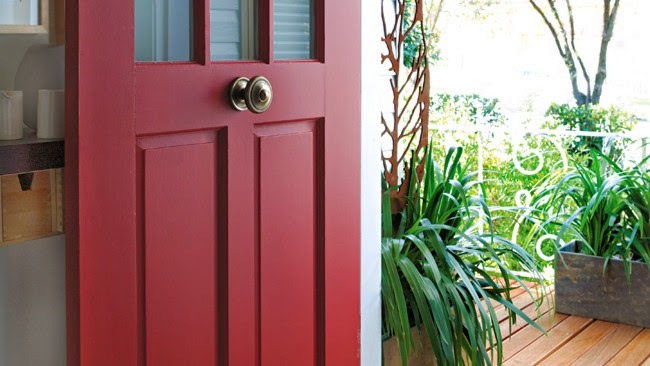 By painting the front door in a strong colour, such as red or blue, updating doorway furniture and the entrance mat, you’re sending a message that your home is up-to-date and well maintained before anyone even crosses the threshold. Give the area around the entrance the once-over by cleaning the path, removing cobwebs and trimming plants. Check the letterbox isn’t shabby and fix any loose pavers or fence palings. If the bathroom and kitchen are basically in good shape but just in need of a little updating, look at the taps. By fitting new, good-looking, matching taps, or taps that link aesthetically, you’re bringing a sense of cohesion to the house. Good taps also suggest good plumbing. Winter is the perfect time to pull on the garden gloves and get stuck into the back yard. After a general tidy up, look at any gaps in planting that need to be dealt with. If you’re putting the house up for sale, gather reasonably established potted plants to fill up these holes as you can take them with you when you go. Get hold of a high-pressure hose and give paths and paintwork the once-over. Clean the barbecue and give outdoor furniture a scrub and, if needed, an oil, as spring is just around the corner. Good News for Home Owners and Property Buyers Across the Country!! 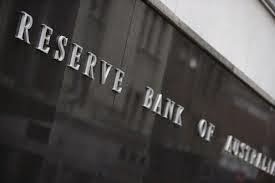 At its meeting today, The Reserve Bank of Australia decided to keep the official cash rate on hold at 2.5 per cent. The RBA's decision today indicates that it is continuing with its policy of creating a period of stability on interest rates. By all indications, we can expect this situation to continue for some time which is good news for home owners and property buyers across the country. As autumn draws to a close, a very busy time of the year for Australia's property market draws to a close also. 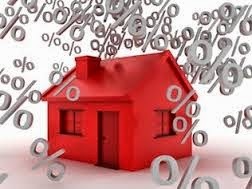 The extended period of low interest rates has created a lot of activity in the housing market, with near record numbers of auctions being held around the country over the last weekends in May. High auction clearance rates have been a feature in most capital cities, with buyer confidence continuing. Investors seem to be leading the way amongst purchasers, but there has also been signs of increased activity from first home buyers during the first half of 2014. Analysts expect property markets to settle down during the traditionally quieter winter months, however there are still plenty of opportunities around for those looking to make a purchase. The low interest rate environment is creating a very competitive loan market. Lenders are now offering some great deals for first home buyers, as well as those considering an investment or refinancing. With the autumn selling season winding down, this a great time to chat about your plans for the future. We're here to help you take advantage of the low interest rate environment to either purchase your first home, buy an investment property or upgrade to a bigger and better house- so why not give us a call today?